More good news for the country's affluent: It literally pays to be rich. 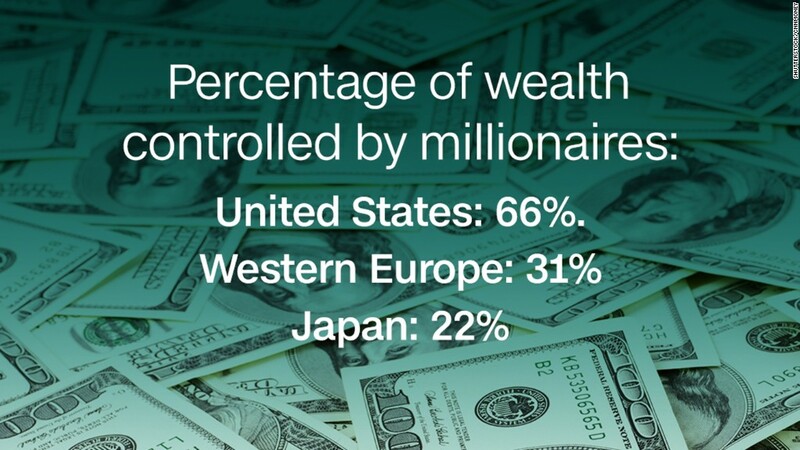 The wealthy make more money on their investments than the less affluent, according to data from Openfolio, an app that helps people track their investment portfolios and performance. An analysis of the app's users found those with larger portfolios have higher returns. The top 1% averaged 3.73% gains over the past 12 months, while the bottom 1% saw their assets drop 3.32%. 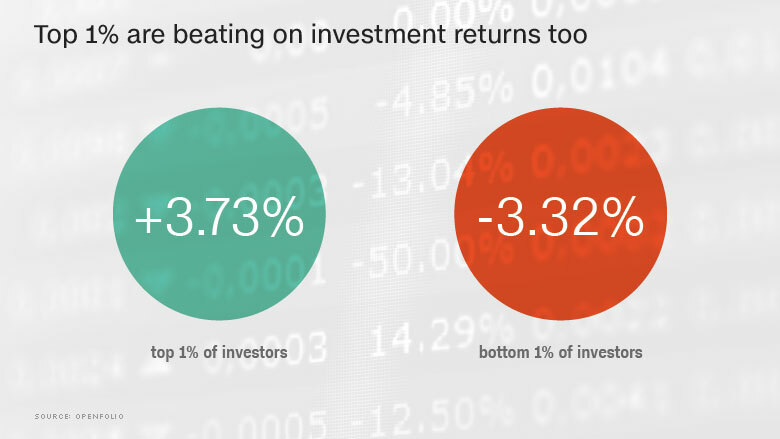 The gap boils down to a key difference in how people invest. The rich are much less likely to put their money in single stocks like Ford (F) or Bank of America (BAC). That makes their portfolios less dependent on a handful of stocks, which might go up or down a lot. The top 5% of investors have less than 40% of their holdings in single stocks. The volatility of their portfolios is almost 15%. The bottom 5% of investors allocate over 70% of their portfolios to single stocks, leading to 33% volatility, meaning the value of their portfolios swings up or down at more than double the pace of their more affluent counterparts. Put simply, the wealthy limit risk by ensuring they don't put all their eggs in one basket. It's an investment strategy that's surprisingly simple to emulate. "There is nothing that the rich are doing that you can't be doing as well," said Maxwell Lane, the head of business development for Openfolio, which has 70,000 users with brokerage or retirement accounts in the U.S., and lets them see how their investment choices and portfolio performance stack up against each other. Single-stock investments can pay off, especially when the stock skyrockets on some major news. However, wealth advisers typically recommend keeping it as a moderate percentage of an overall portfolio to reduce exposure. "If you're wrong on any of your stock picks, it will have a dramatic effect on your net worth," Lane said.